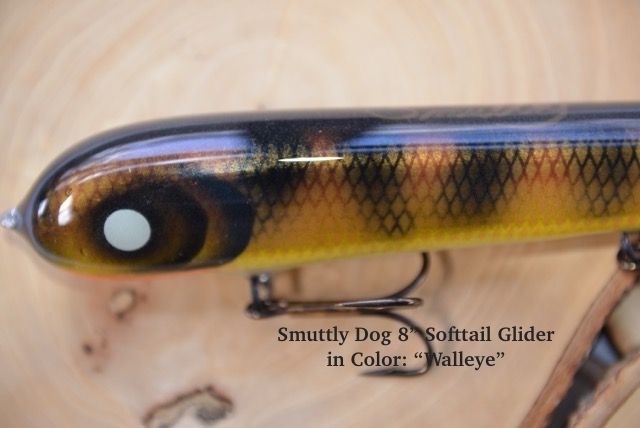 You are bidding on a Mark Smith Smuttly Dog 8.5" CT Round Nose Soft Tail Glider in Color: "Walleye"
Here is a Round Nose Soft Tail Bait from Smuttly Dog Lures. It's 8.5" of hard body (12.5" w/tail) and weighs 6.9 oz. 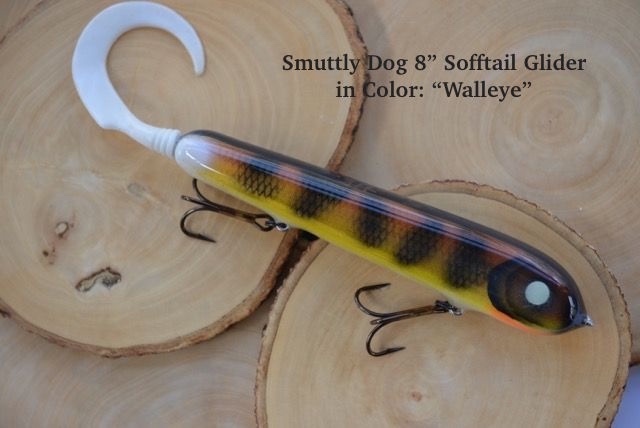 This Tail Bait also measures 1.25" wide across the back. 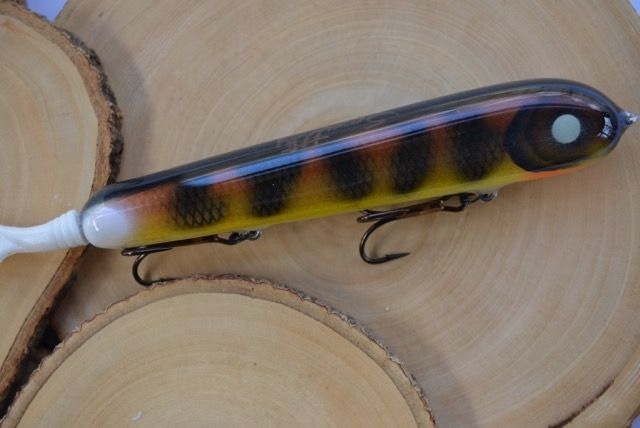 This bait is hand made out of Cedar. 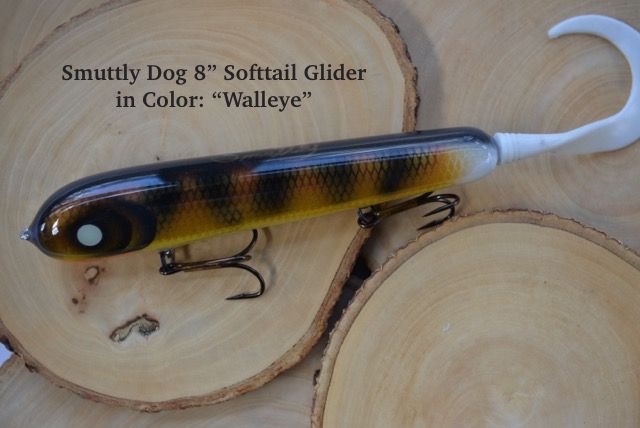 It has a great side to side action with a really nice wobble and the added attraction of a soft plastic tail. The craftsmanship is amazing. 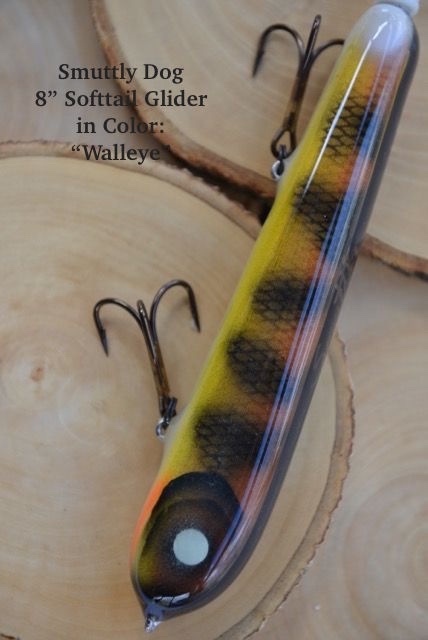 Super tough epoxy to hold up to many musky fishing trips.